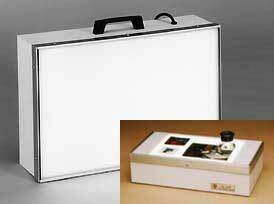 Hall Productions designed the economy light boxes for Graphic Art, Life Science and Photographic applications. The HPE Light Box fills the user's basic needs. This is the Hall Production's light box distilled to the essentials.